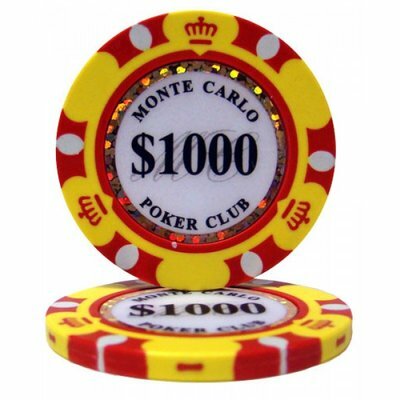 Are you looking for luxury poker chips for your poker game? 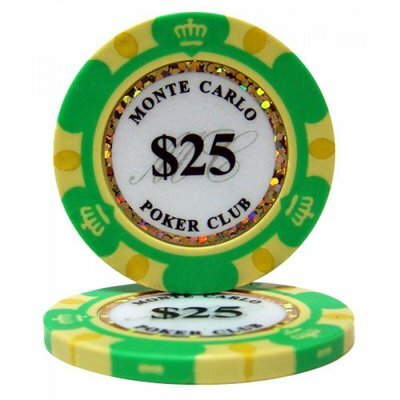 The Monte Carlo gold poker chips are made of Clay Composite and weigh 13.5 grams. 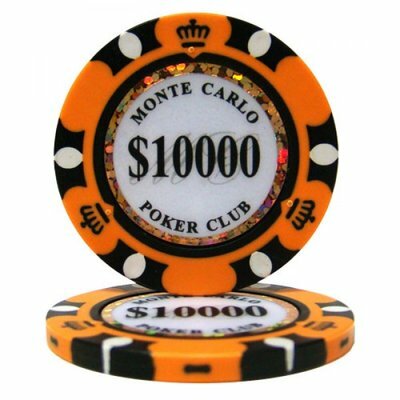 The inlay has a golden edge which gives the chip a luxurious look. 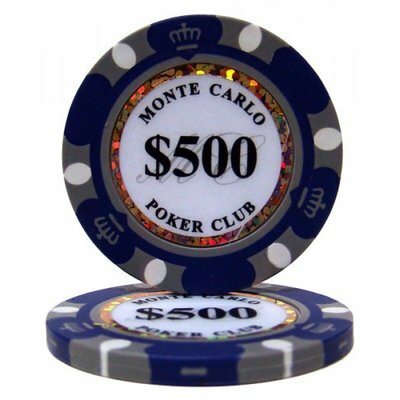 The bright colors and clear value print ensure that these Monte Carlo Gold poker chips are clearly distinguishable from each other. 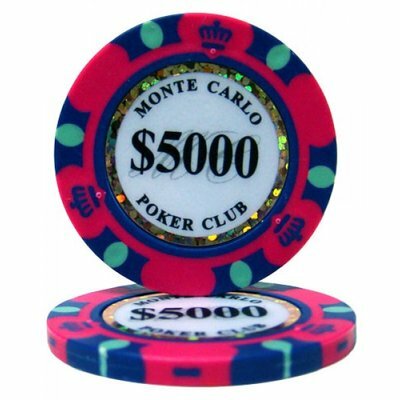 These are absolute high-end poker chips that allow you to play great cash games or poker tournaments. 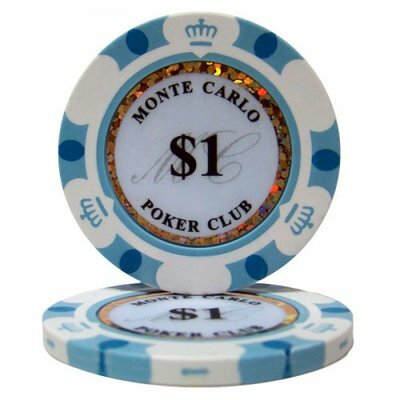 13,5 grams Clay Composite chips.